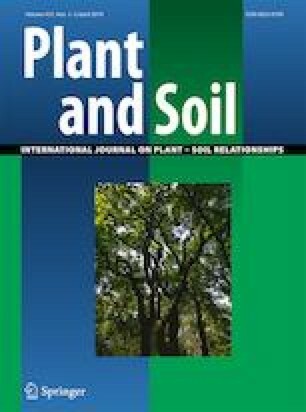 The study investigated the growth and metal accumulation over time of young forest vegetation growing on metal-contaminated topsoil above either acidic or calcareous subsoil. A 4-year model ecosystem experiment was performed under quasi-natural conditions. The heavy metal (HM) contaminated topsoil contained around 3000 mg/kg Zn, 600 Cu, 100 Pb, 9 Cd. Total biomass was 25.7% lower on the acidic than on the calcareous subsoil. The HM topsoil did not affect total understorey and Salix biomass, but decreased the growth of Populus, Betula and on the acidic subsoil also that of Picea. Leaf Cd and Zn concentrations were around 6 and 1000 mg/kg, respectively, in Populus and Salix on the HM topsoil, and 0.6 and 200 mg/kg in Picea and understorey. Leaf and wood HM concentrations, were lower in Populus and Salix on the calcareous than on the acidic subsoil. Temporal trends differed among the investigated metals. The HM-induced relative increases in leaf and wood metal concentrations were lower by at least an order of magnitude than in the respective soluble topsoil metal concentrations. Over the four years, Zn was increasingly accumulated in older twigs in Picea. The selected native trees are suited for phytomanagement of HM-contaminated topsoils. Subsoil acidity is a relevant factor. The authors thank Peter Bleuler, Michael Lautenschläger and Ueli Bühlmann fort their help in carrying out the experiment and Daniel Pezzotta and his team of the WSL central lab for the elemental analyses.